This pumpkin pie comes with a little sass. I get a little bored when food is overly traditional, and Thanksgiving is a very traditional holiday. I try to sneak in unexpected flavors where I can, but it can be difficult for them to pass the family test. 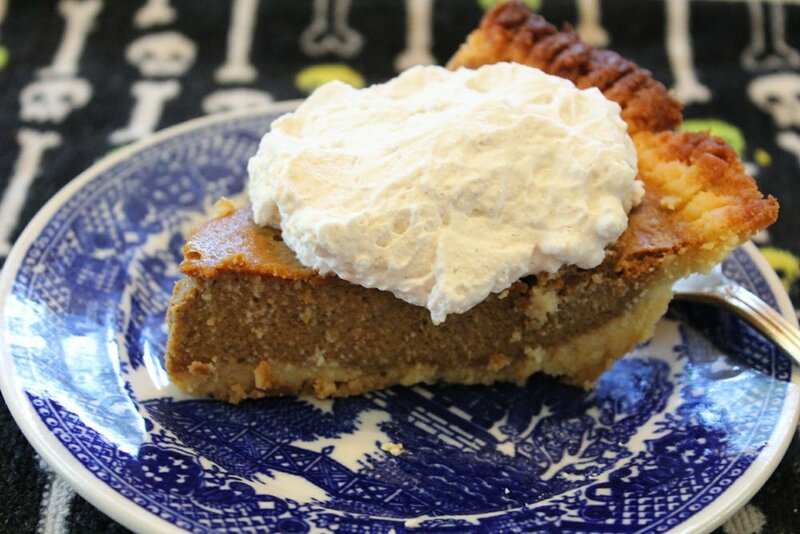 I got the idea for this pie from my husband who loves chai tea. Chai tea, if you've never tried it, is spicy and a little floral which lends some sass to the everyday pumpkin pie. Throw on some cinnamon whipped cream, and you have a deeply satisfying and flavorful dessert. Let the pie cool to room temperature, then transfer it to the fridge for at least 2 hours. For the cinnamon whipped cream, combine 1 cup of heavy cream with 2 Tsp Swerve confectioner's (or ground Gentle Sweet), 4 drops liquid stevia, 1 tsp vanilla, and 1/2 tsp cinnamon. Whip with a hand mixer to stiff peaks (about 7 minutes). Store in an airtight container in the fridge for up to one week. The holidays are sure to be happy with this pie on the table!